Diane Kruger attended The Ideas of March premiere at the Venice Film Festival wearing this amazing Elie Saab dress. The detailing on this dress is divine - I love the sheer layer on top of the lace skirt and the colouring is fantastic on her. She literally glows in this dress! 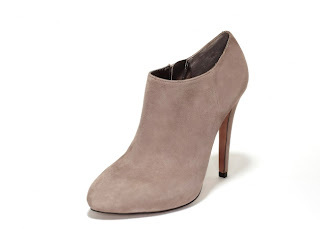 After my post earlier this week on Sam Edelman's Renzo spiked booties, a friend of mine told me that she was able to get an amazing discount on Sam Edelman and we instantly started obsessing over the Renzo and Ria booties. I ended up getting two pairs - the Ria in Putty and Black and she bought the gorgeous Renzo spiked booties in black. Despite LOVING them, I just didn't think I'd wear the Renzo spiked boots enough. The boots actually fit quite small so both of us ended up going up a size but they're super cute! 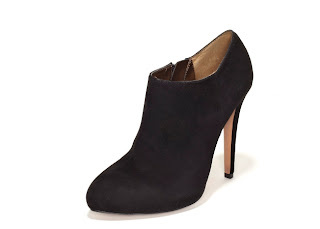 I can't wait to wear them this Fall with wide-leg jeans and leather jackets! I've done a guest post on Cherry Pie Twins on 5 Fall Fashion Essentials for Moms. If you're a mom looking for some Fall style ideas or just want to see my picks, check it out when you have a chance! I know I've posted about EmersonMade a lot lately but she really does have the coolest stuff! My latest obsession is the Black Oil Linen Silk Tux jacket which is exactly the same as the Cream/Black Tux jacket (just all in black). I think this jacket looks AMAZING paired with jeans and really would be a wardrobe staple. I was at an event recently and someone I work with had the BEST eyeshadow on. 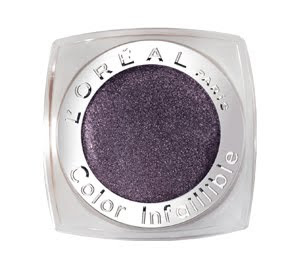 To be honest, I'm something of a makeup snob and I usually steer clear of drugstore makeup, so I was shocked when she said it was L'Oreal Colour Infallible and raved about it. I decided to pick up a few colours to try them out and I absolutely love them! I use my finger to apply the shadow and then use a brush to blend the shadow in the crease. 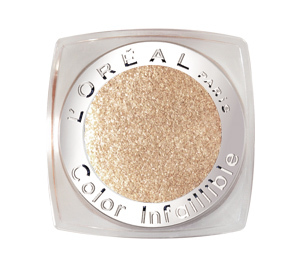 The colour is intense, shimmery and lasts all day without creasing. 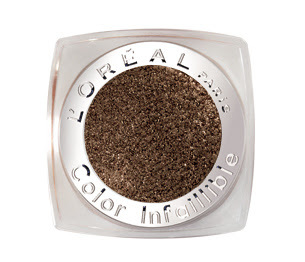 It really lasts ALL day without creasing. It's fantastic! 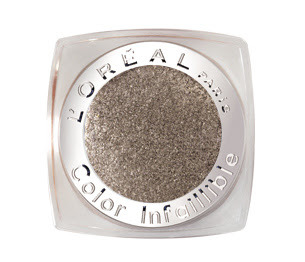 I bought the shadow in 4 colours - Endless Chocolat, Hourglass Beige, Flashback Silver and Purple Obsession. They're all great but I think the Endless Chocolat is my favourite. 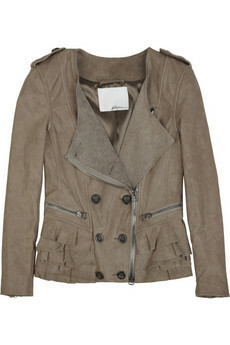 I talked about the concept of shopping fate a while back and this 3.1 Phillip Lim Ruffle Leather Jacket is a perfect example of the concept. I had seen this jacket months ago on General Hospital and was OBSESSED with finding out who made it. I love the fit/style/ruffle detailing! Lulu was wearing the jacket for about a week on the show at the beginning of Summer and I fell in love with it. I am usually able to track obscure items down 99.9% of the time so I was really disappointed when I couldn't find the jacket back then. Fast forward to a few weeks ago - I was shopping at Holt's and there sat my ruffle leather jacket under a spotlight just waiting for me to find it...shopping fate! It's 3.1 Phillip Lim and is AMAZING! I ended up getting it in a darker brown Cognac-colour and Holt's was having a Gift Card event later that week so i ended up getting it at a discount. Obviously, I'm counting down the days until September arrives and it's 'reasonable' to wear this... I can't wait for Fall! Fall is my favourite time of year and I'm already getting WAY too excited about wearing coats, scarves and sweaters. It's only August 1st but I've already checked out of Summer and started daydreaming about Fall. 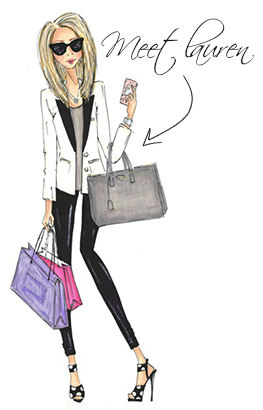 Nothing beats Fall fashion - Fall fashion is the BEST! So I posted about some of my EmersonMade obsessions last week and my obsession is growing a little out of control after today... EmersonMade posted a sneak peak of a few of the new Fall pieces on their website and I am OBSESSED with the London Coat. OMG - the white/black colour blocking is AMAZING! It's so simple, so classic and so fun! I love the 3/4 length sleeves, the swing shape and the great collar. I can see myself wearing this non-stop this Fall. Of course, I've already put my name on the waiting list! I can't wait!